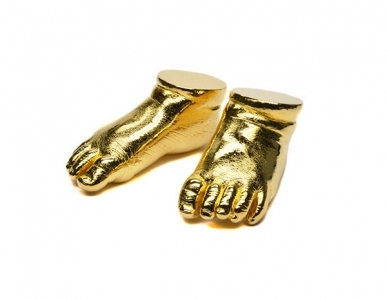 Plaster cast baby’s feet framed in a painted wooden box frame. 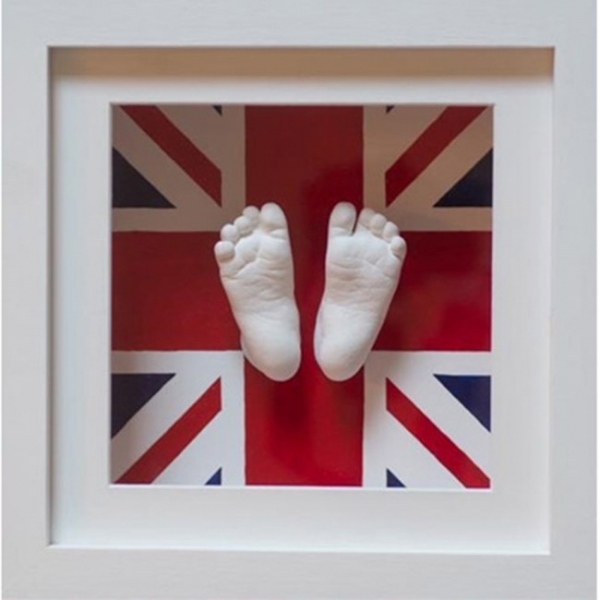 This pair of plaster cast baby's feet have been given a fun Union Jack background. Please call to discuss your personal requirements – frames, backgrounds and the feet or hands can be customised with different coloured paint, images and wallpapers.